Have fun with this ingenious design in real alpaca fur. The collar can be detached from the scarf and worn as a collar on its own, or with other scarves. It can also be worn as a glamorous fur head band. The band is handmade by our skilled artisans in Peru and lined with cotton satin. There is a covered hook and 2 loops so the wearer can adjust as required. 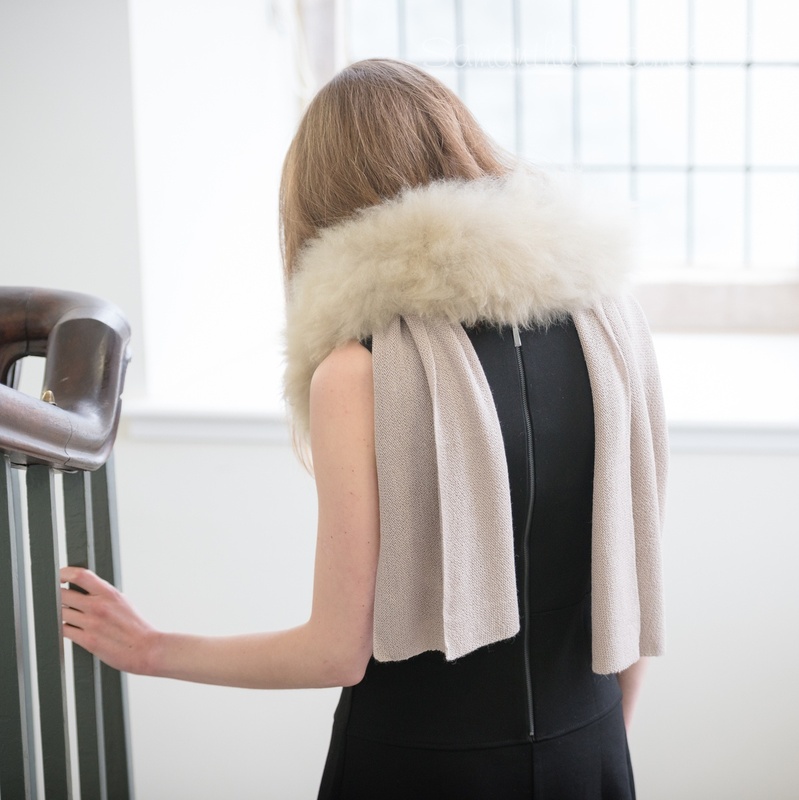 The Alpaca fur used in Samantha Holmes products is ethically sourced.